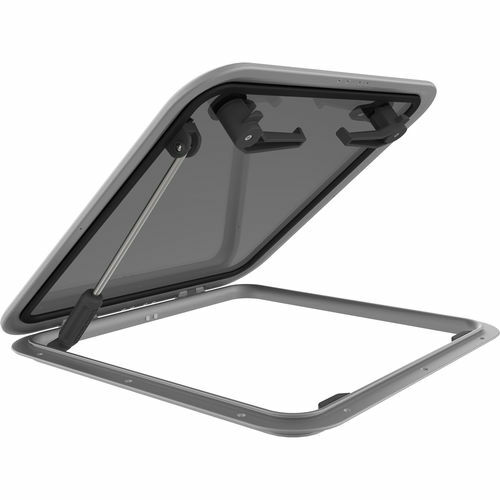 The sleekly designed Low Profile Hatch is ideal for use on a powerboat. Smaller ventilation hatches are a better fit for sailboats, while the larger sizes can be used as foredeck hatches on smaller to mid-size yachts. Our hatches feature Lewmar's unique sealing system allowing easy acrylic replacement. All sizes are suitable for CE Area 2 (Deck, Coachroof, Cockpit and Transom). Size 10 Low Profile with Stay is made to order.